Q1. What are your cylinder advantages? A: 1. Rod are chrome plated. 2. Tubes are quenched and tempered. 3. Tube inner hole goes through deephole boring machine processing. Surface roughness is 0.4Ra and circular degree is 0.025. 4. Good quality yet lower price. Q2: Are you a manufacture or a trade company? A: Manufacture, we are the leader manufacturer of hydraulic industry in China with experience and technology accumulation. With strong technical team we could solve any annoyance of you. Q3: Do you have quality control system? A: Yes, The quality management system introduced is: ISO/TS 16949:2009-certified by NQA and IATF cert. Q4: Can you tell me the price for the cylinder? A. 1. Please advice the drawing with technical requirement. 3. Please advice the tipping capacity, number of stages, closed length, mounting type and size. Q5: Do your products come with a warranty? A: Yes, we have 12 months warranty. In this year, if the quality problem we will free repair for you. Q6: Can you help me to install or recommend what kind of hydraulic cylinder or power pack should I use for specific machine? A: Yes, we have experienced engineers who are always ready to help you. 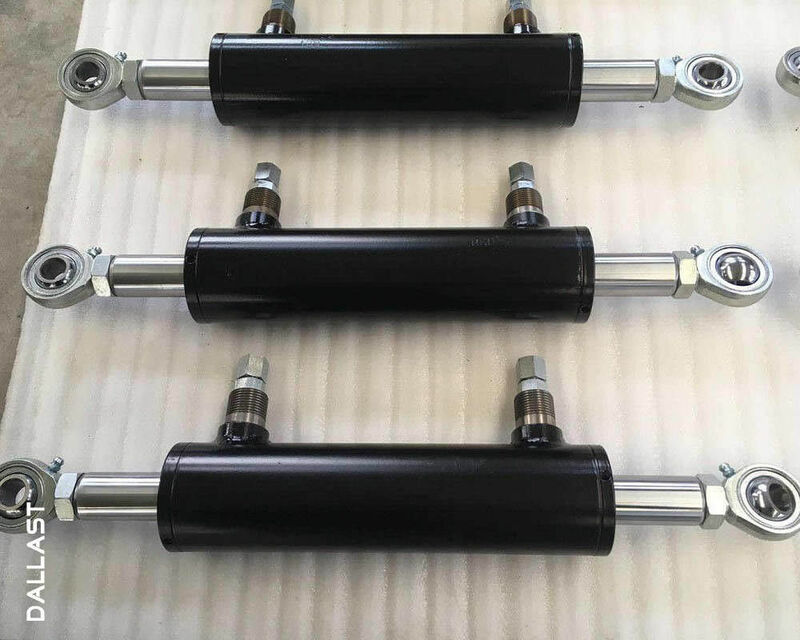 If you do not know what kind of hydraulic cylinders should be used in your machine, please just contact us, our engineers will design the exact products match your need.